The turkey has been sandwiched, the green beans discarded and the pie undeniably devoured, which can only mean one thing: the holiday season is upon us. But while most are stringing lights and topping trees, fashionistas know there's no better signifier of yuletide than department store windows. 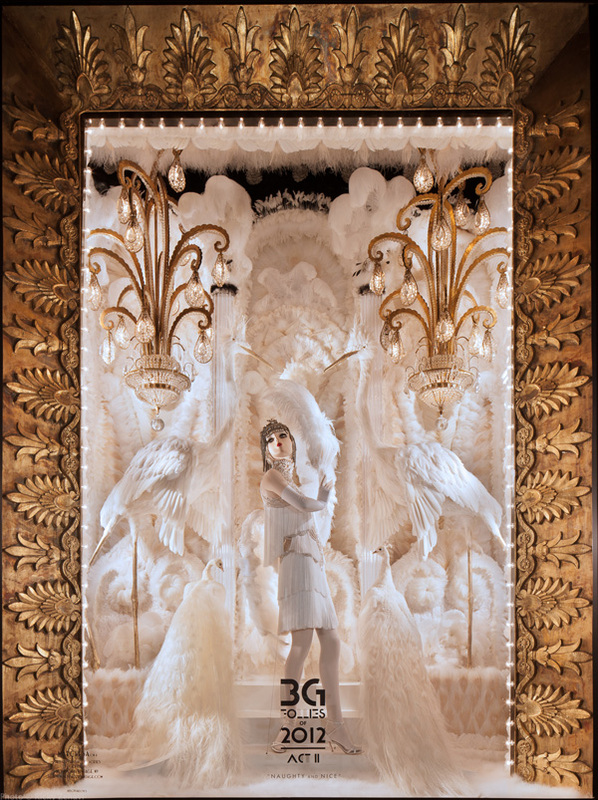 And nobody does it better than Bergdorf's. 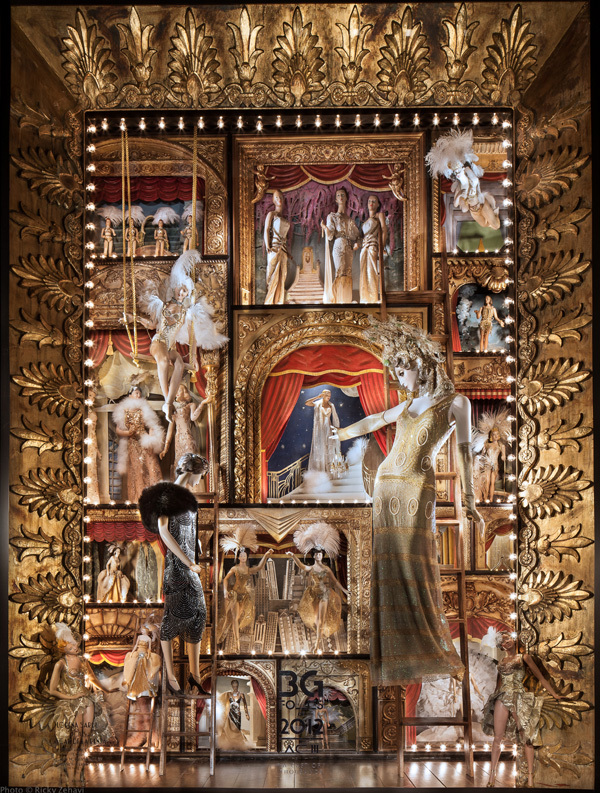 With its BG Follies theme, the store's visual team drew inspiration from classic Art Deco style. Think Ziegfeld Follies, Vaudeville and Busby Berkeley. And the impending Great Gatsby release can't be a coincidence, can it? 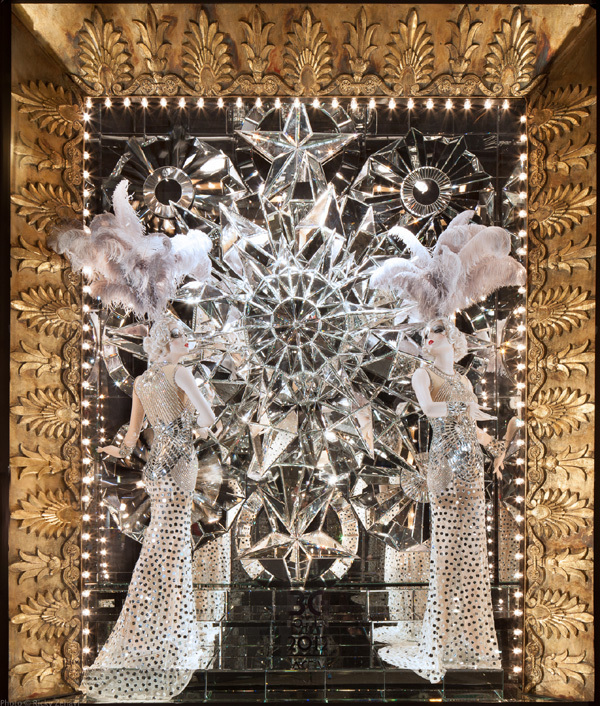 Referring to each window as an act of a production, Act I is a riff on Some Like it Hot, featuring the designs of Marc Jacobs, 3.1 Philip Lim and Elie Saab, among others. Act II, is a tribute to Sally Rand and her famous fan dance, incorporating thousands of white feathers in a mosaic-like pattern. Act III, meanwhile, showcases no fewer than two dozen show girls getting ready to take the stage, each represented by a mid-century miniature American mannequin. 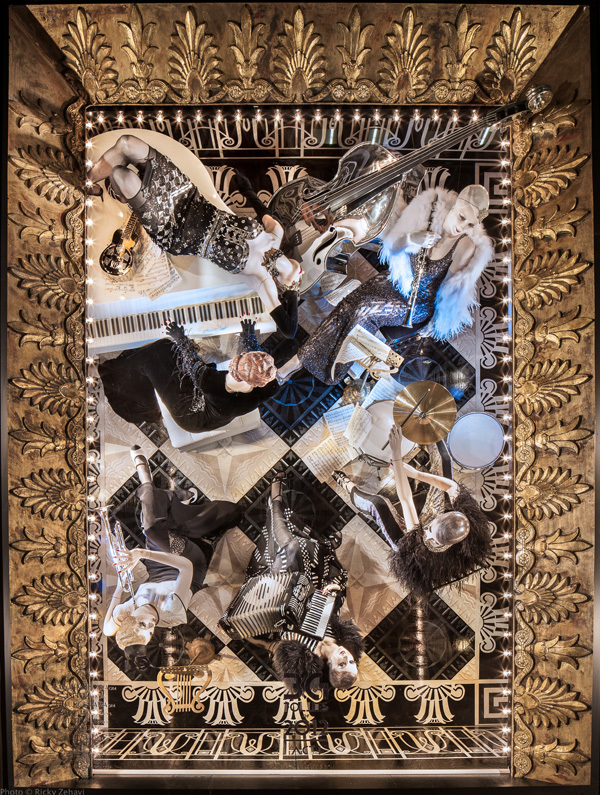 Act IV depicts a Jazz Age circus trainer, bedecked in Alexander McQueen and surrounded by 30 poodles and terriers performing tricks on their perches. As the finale, Act V centers around a giant, rotating kaleidoscope that reflects two Naeem Khan gowns in its thousand individually beveled mirrors. These windows are gorgeous! I wouldn't expect any less from BG. WOW WOW WOW, it screams The Great Gatsby in some ways doesn't it? Stunning! I was a bit disappointed with Selfridges windows this year in comparison to this. The mirrors in that last shot is just amazeballs! p.s it must have been amazing when your mum worked as a buyer back then for a huge/well-known department store! 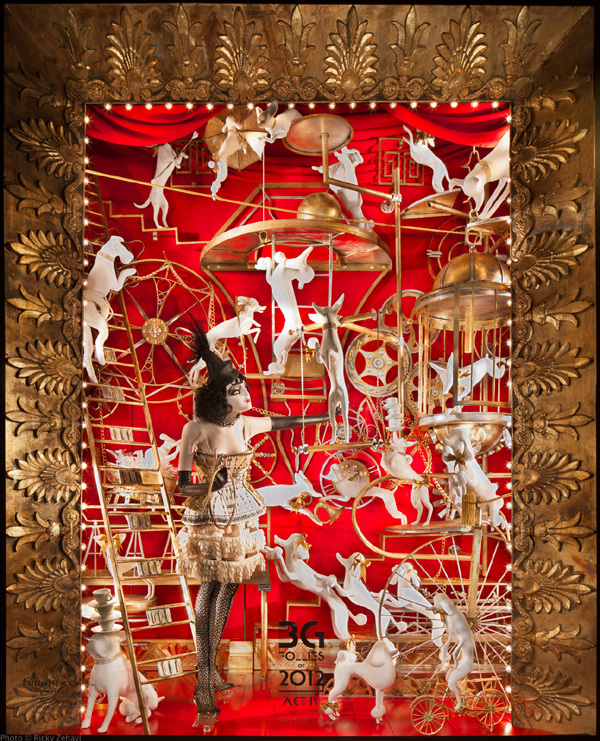 I just recently wrote about the Harrods holiday windows--- so yes, holiday windows do get me in the spirit! And these are so much fun.... now I am in the mood for a party! I pass by these almost every day! The displays are absoutely gorgeous. The visual team did such a wonderful job this year. How do they come up with this stuff? !